Special in Uniform, an innovative program that integrates youth with disabilities into the Israel Defense Forces, came to the Middle School to present a program for the 8th grade. Students learned about how Israelis with special needs find unique and important ways to serve in Israel. 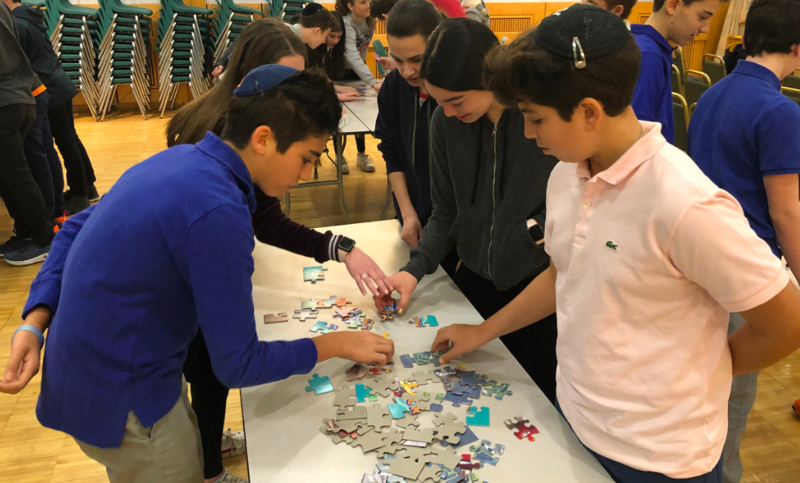 To understand some of the challenges that these soldiers face, eighth graders participated in activities such as beading and puzzles where they were instructed to use only one arm. Later, students were given a set of instructions that read in a way that mirrored the dyslexic perspective. Students were inspired that despite these challenges, Special in Uniform participants are able and willing to serve to their full capacity - and they hope to meet some of these soldiers on their upcoming Israel trip!